The first recorded account of Europeans in the area happened in August 1676, during King Philip's War. Major John Talcott and his troops chased a group of 200 Mahican Natives west from Westfield, eventually overtaking them at the Housatonic River in what now Great Barrington. According to reports at the time, Talcott's troops killed twenty-five Indians and imprisoned another twenty. Today, a plaque for John Talcott marks the spot where the massacre is believed to have happened. The village was first settled by colonists in 1726 and from 1742–1761 was the north parish of Sheffield. In 1761, it was officially incorporated as Great Barrington, named after the village of Barrington, Gloucestershire, England. With the arrival of the railroad in the late 19th century, Great Barrington developed as a Gilded Age resort community for those seeking relief from the heat and pollution of cities. Wealthy families built grand homes called Berkshire Cottages here, as others would in Lenox and Stockbridge. Among the earliest estates was that built by New York City banker, industrialist and art patron David Leavitt, who built an elaborate 300-acre (1.2 km2) estate, and was soon followed by those of his sons nearby. Leavitt was instrumental in the development of the local Housatonic Railroad, serving as its president. Great Barrington is the birthplace of W. E. B. Du Bois, an African-American academic and civil rights activist, most known for being one of the co-founders of the National Association for the Advancement of Colored People (NAACP) in 1909. Du Bois was born on February 23, 1868, at a house later replaced by where present-day Route 23 would run. As a child, Du Bois attended the Congregational Church. Many of these church members donated the funds needed for Du Bois to attend college. Du Bois lived in the town until he was seventeen. The W.E.B. Du Bois Boyhood Homesite has interpretive trails and a walking tour. 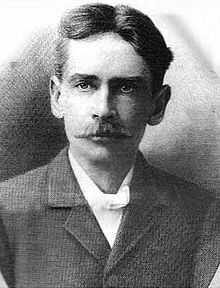 In November 1885 electrical engineer William Stanley, Jr., a sometime Great Barrington resident working for George Westinghouse, began installing a demonstration transformer based alternating current lighting system. Stanley felt AC was an improvement over the direct current system being used by Thomas Edison, and Stanley was trying to get Westinghouse to adopt it. Stanley had developed a series transformer that he thought would make AC practical. He built his components at the "Old Rubber Factory" south of Cottage Street and installed a Westinghouse steam engine powering a 500 volt Siemens generator. Stringing the power lines from tree to tree down the street, in March 1886 Stanley powered the system up and was able to expand it to the point where it could light 23 businesses along Main Street with very little power loss over 4,000 ft (1,200 m). The system's 500 AC volt current was stepped down to 100 volts using the new Stanley transformer to power incandescent lamps at each location. This was the world's first practical demonstration of a transformer/alternating current system and the basis of the AC systems that Westinghouse would begin installing later that year. Arlo Guthrie's song "Alice's Restaurant," which runs for ​18 1⁄2 minutes, is based on true-life events of the late 20th century in Great Barrington and the adjoining towns of Stockbridge and Lee. The Old Trinity Church, which was the home of Ray and Alice Brock at the time of these incidents, and is now owned by Guthrie, is at 4 Van Deusenville Road in Great Barrington. On October 18, 1990, Richard Stanley purchased the old Miller Hotel, also known as the Barrington House. Stanley started to upgrade the building, evicting tenants who had been involved in drugs. He removed the 1960s aluminum facade and returned the historic building through renovation to its 1929 appearance. On November 15, 1995, Richard Stanley and Joseph Wasserman opened The Triplex Cinema in the heart of Great Barrington. This contributed to further developments in the town, changing the economy and enhancing its desirability by providing a place for community events. 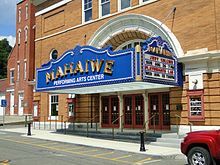 With increased appeal as a destination, the town attracted new restaurants and retail shops, which opened on both Main Street and Railroad Street. Both streets previously had many vacant shops. The Berkshire Eagle reported that Great Barrington had 50 places to eat in a town of 7,700 people. The "Main Street Reconstruction Project" was launched in 2011, involving major improvements along Main Street between Saint James Place and Cottage Street. The plan elements include new pavement, new sidewalks, sewer and utility improvements, and the removal of the large trees that span Main Street, to be replaced with a much wider array of trees of varying sizes and growth habits. The project had finished its design phase as of 2012, and construction was to be completed in 2016. As of the census of 2000, there were 7,527 people, 3,008 households, and 1,825 families residing in the town. By population, the town ranks fifth out of the 32 cities and towns in Berkshire County, and 202nd out of 351 cities and towns in Massachusetts. The population density was 166.6 people per square mile (64.3/km²), ranking it eighth in the county and 268th in the Commonwealth. There were 3,352 housing units at an average density of 74.2 per square mile (28.6/km²). The racial makeup of the town was 94.74% White, 2.09% Black or African American, 0.16% Native American, 1.25% Asian, 0.03% Pacific Islander, 0.70% from other races, and 1.04% from two or more races. Hispanic or Latino people of any race were 2.07% of the population. 17% were of Irish descent, 12% Italian, 11% German, 10% English and 9% Polish. In the town, the population was spread out with 22.6% under the age of 18, 9.0% from 18 to 24, 23.5% from 25 to 44, 26.2% from 45 to 64, and 18.8% who were 65 years of age or older. The median age was 42 years. For every 100 females, there were 87.2 males. For every 100 females age 18 and over, there were 83.8 males. The median income for a household in the town was $95,490, and the median income for a family was $103,135. Males had a median income of $68,163 versus $49,474 for females. The per capita income for the town was $42,655. About 2.4% of families and 5.2% of the population were below the poverty line, including 3.6% of those under age 18 and 2.5% of those age 65 or over. 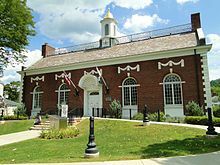 On the state level, Great Barrington is represented in the Massachusetts House of Representatives by the Fourth Berkshire district, which covers southern Berkshire County, as well as the westernmost towns in Hampden County. In the Massachusetts Senate, the town is represented by the Berkshire, Hampshire and Franklin district, which includes all of Berkshire County and western Hampshire and Franklin counties. The town is patrolled by the Great Barrington Police Department which is a 24/7/365 service. On the national level, Great Barrington is represented in the United States House of Representatives as part of Massachusetts's 1st congressional district. Democrat Richard Neal of Springfield has represented the district since 2012. Great Barrington has a paid by call Fire Department, The Great Barrington Fire Department (GBFD),consists of about 40 members and five pumpers, one tower ladder, two rescue vehicles, and one brush truck. Most members are trained to the First Responder level; some are trained to the EMT-Basic level. 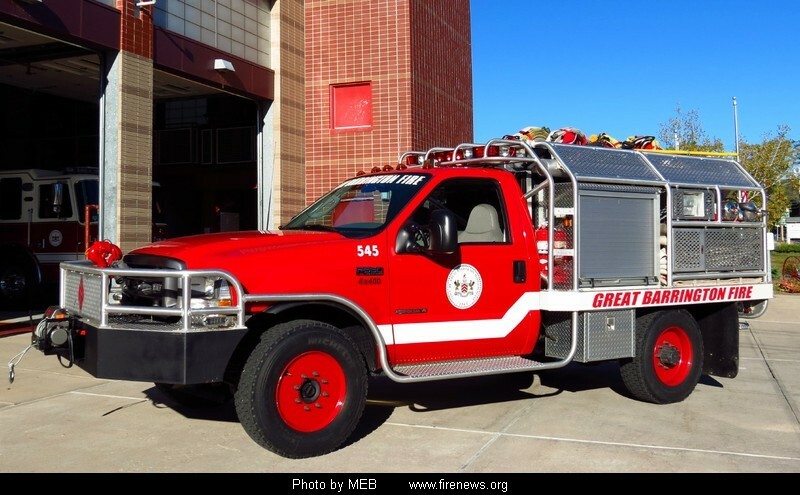 The Fire Department responds to about 600 calls per year, which vary but are mainly fire alarm activations and medical emergencies. Great Barrington's Emergency Medical Services are covered by Southern Berkshire Volunteer Ambulance Squad Inc. (SBVAS), operated from the grounds of Fairview Hospital. The service provides 24/7/365 paramedic level service to the towns of Great Barrington, Housatonic, Alford, Egremont, Sheffield, Ashley Falls, Monterey, and Mount Washington. SBVAS is the primary paramedic intercept service for ambulances going into Fairview, including New Marlborough, Sandisfield, and Otis. The squad consists of a mix of full-time EMTs, paramedics, and volunteer EMTs. The squad responds to 3,000 to 5,000 calls a year. 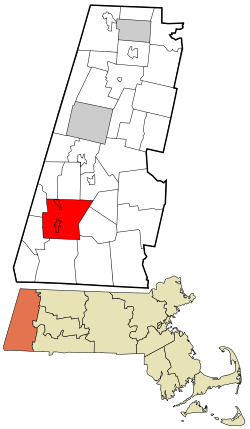 Great Barrington is the largest town in the Berkshire Hills Regional School District, which includes the towns of Stockbridge and West Stockbridge, and the villages of Housatonic, Glendale and Interlaken. All three school levels are located in Great Barrington. Muddy Brook Regional Elementary School offers pre-kindergarten through fourth grade classes and is located off Route 7 in the northern part of town. Monument Valley Regional Middle School offers grades five through eight. Monument Mountain Regional High School (MMRHS) opened in 1968, consolidating the former Searles High School in Great Barrington and Williams High School in Stockbridge, and serves the high school students of the district. Students from Otis and Sandisfield also attend the school as part of a tuition agreement for high schools. The town of Richmond maintains an agreement with the district that gives its high school students an option to attend MMRHS. The school's athletic teams are called the Spartans, and their colors are maroon and white. Sports are offered at the junior varsity and varsity level for the students to participate in, including football, soccer, baseball and softball, swimming, track and field, tennis, fencing, and cross country running. The Spartans enjoy rivalries with, among other schools, the Lee High School Wildcats, in Lee, Massachusetts and the Lenox Memorial High School Millionaires in Lenox, Massachusetts. Great Barrington plays host to the American Institute for Economic Research. AIGHT was founded in 1933 as non-profit scientific and educational organization. Originally located at MIT, it relocated to the southern shore of Great Barrington's Long Pond in 1946. Walter J. Koladza Airport is located in Great Barrington, and features a full service FBO for general aviation aircraft. The nearest international airports are Bradley International Airport in Windsor Locks, CT(serving primarily the metro areas of Hartford, CT, & Springfield, MA and Albany International Airport in Colonie, NY, which primarily serves the metro area encompassing the Capital District and greater Albany, NY, eastern Upstate NY and the Berkshires region, and western MA, and southern VT.
Great Barrington is the location of the Ski Butternut resort. The Berkshire Humane Society operates animal welfare services and pet adoption facilities in the town. It is also the location of a celebrated and well organized Medical and recreational cannabis dispensary along US 7 in the town. The store is noted to be the first of its kind to open in western Massachusetts. Great Barrington is in the Albany, New York, television market, with two Springfield TV stations appearing on the cable lineup: WGBY (PBS 57), and WSHM-LD (CBS 3). The town is served by Charter Communications out of Pittsfield. Local cable operators up until Charter had carried WWLP (NBC 22 Springfield) on the system, but it was dropped in March 2017. ^ a b "Geographic Identifiers: 2010 Demographic Profile Data (G001): Great Barrington town, Berkshire County, Massachusetts". U.S. Census Bureau, American Factfinder. Retrieved December 18, 2013. ^ a b Charles James Taylor (1882). History of Great Barrington: (Berkshire County,) Massachusetts. C. W. Bryan & Company. pp. 8–10. ^ Abbot, Kate. "Kate Abbott: A walk into Great Barrington's past". The Berkshire Eagle. Retrieved 27 April 2017. ^ "Mrs. Hopkins's Recent Art Purchase", The New York Times, December 18, 1881. ^ "W.E.B. Du Bois National Historic Site". W.E.B. Du Bois National Historic Site. Retrieved December 19, 2013. ^ Strzempko, Adam. "Great Barrington tornado 14 years later". WWLP.com. Archived from the original on 7 March 2012. Retrieved 13 June 2010. ^ a b "Town Welcomes New Station With Open Arms". The Berkshire Eagle via YellowBrix. Retrieved 23 August 2012. ^ "Main Street Reconstruction Project". Town of Great Barrington. Retrieved 23 August 2012. ^ "Great Barrington finds sister city in Ontario". The Berkshire Eagle. Retrieved 2018-10-24. ^ "Resident of Great Barrington's West African sister city visits for ceremony". The Berkshire Eagle. Retrieved 2018-10-24. Wikimedia Commons has media related to Great Barrington, Massachusetts. "Great Barrington" . New International Encyclopedia. 1905.